We have decades of experience in orthodontics, but we also have up-to-date training in the most advanced orthodontic treatments – like invisible braces and Invisalign braces. We offer a broad range of options for children and adults, to help you achieve the perfect straight smile you’ve dreamed of. Contact us today to take the first step toward a flawless smile! Fixed Braces – Traditional wire braces are still the most efficient and affordable way to straighten teeth, particularly in cases of major crowding or bite issues. We use various solutions, including power chains, palatal expanders and headgear, in conjunction with metal braces to give you a perfect smile. 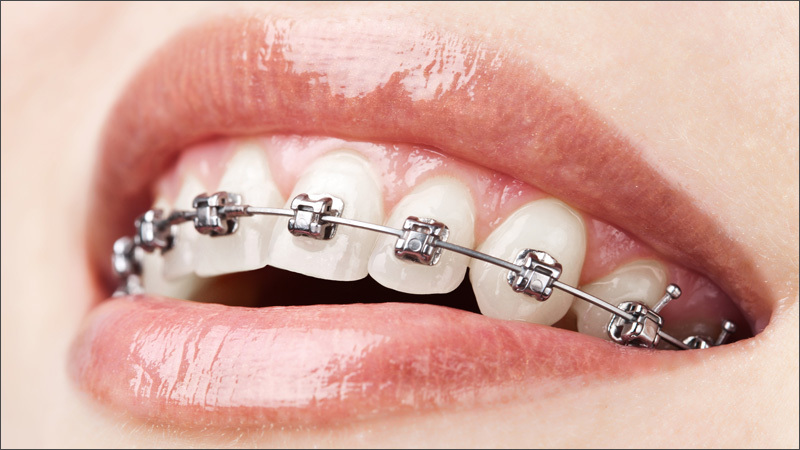 Removable Braces – Straighten your teeth at any age without the embarrassment of wire braces. For patients with mild misalignment, we offer clear, removable Invisalign braces. These are highly effective when only horizontal movement is needed. They don’t get in the way when patients eat and brush. Retainers – Orthodontic retainers are custom-made devices, made usually of wires or clear plastic that hold teeth in position after surgery or realignment. They are most often used before or after dental braces to hold teeth in position while assisting the adjustment of the surrounding gums to changes in the bone. We create custom retainers to gently align teeth before or after braces. Rapid Palatal Expanders – For some patients, the upper jawbone (maxilla) is narrower than the lower jawbone. To correct this problem, we use a palatal expander to widen the upper jawbone and create a normal relationship between upper and lower teeth. The expander often reduces the need to remove permanent teeth to prevent crowding.